Sadly Duke’s previous owners have decided to rehome Duke themselves. We pray that he is safe. He is no longer available through Making A Difference Rescue. Duke is a beautiful 1 year old male American Bulldog. He’s a sweetheart, very friendly & loyal. Duke’s a big baby that gets along great with the 2 mini-wiener dogs that he is around. They play attack him constantly when they are together & he takes it in stride. He hasn’t really been around any other animals. 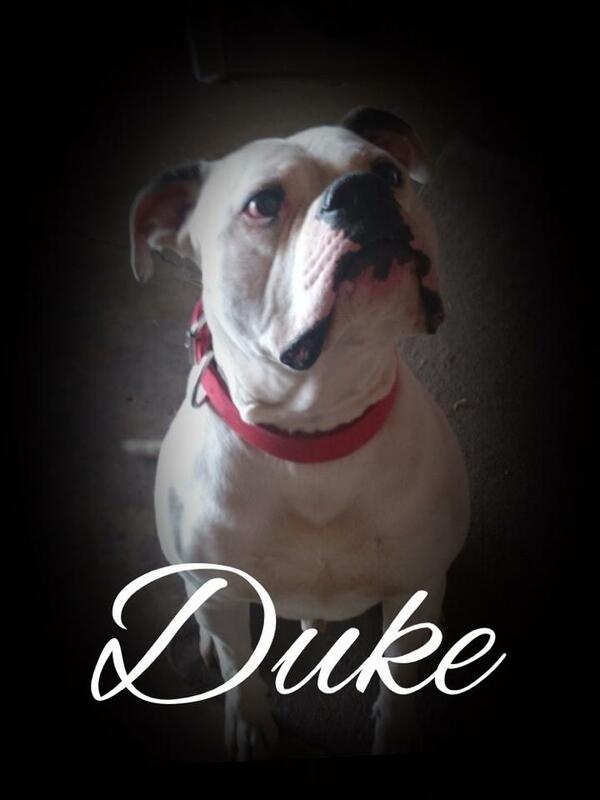 Sadly, Duke is not around people like he should be or deserves to be & he doesn’t get much attention either. This is the reason why he needs a new home, he is alone too much. Duke’s owners say that he’s such an awesome dog & that he deserves better than being in the basement alone in a crate. Even though he’s lonely, he remains loving & when he’s out he seems as if life is the best. What a good doggie! Duke is housebroken & friendly with kids too. Since he’s not getting out of the basement/crate as often as he should be, he has that built up energy & excitement when he first comes out. Duke doesn’t realize that he’s a big pup now. He gets so excited just to get out & be with people. Duke really wants someone to play with him, to give him love & attention. Summer is almost over & he missed out on getting to play ball & go for walks. His owners didn’t have this lonely plan for Duke when they got him as a puppy but life brought changes…a different job with 12 hour shifts, sleep, kids, chores & errands, so that doesn’t leave much time for Duke. Please share Duke’s pic/story to help change his life. Let’s help Duke find his new home before the cold weather comes so he can play outside with his new family. He’s missed out on so much & has a lot of play time to make up for. If anyone is interested in adopting Duke, please complete & submit our adoption inquiry survey.